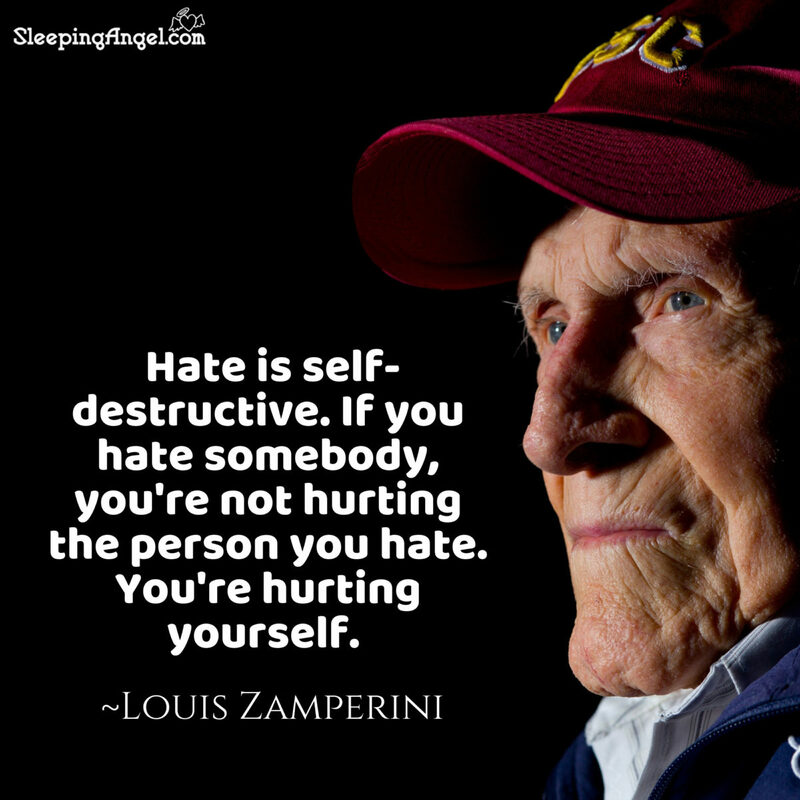 Hate is self-destructive. If you hate somebody, you’re not hurting the person you hate. You’re hurting yourself.